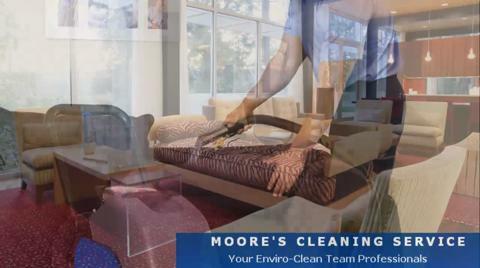 For more than 30 years, Moore's Carpet Cleaning Service has provided superior residential and commercial service to residents of Brampton. Our mission is to ensure that all our clients receive 100 per cent satisfaction with our efficient and affordable cleaning services by highly trained, insured, and bonded staff. We provide water damage restoration, carpet, upholstery, area rug, drapery and blind cleaning and in-home maid service. All of our work is guaranteed. I use Moore's Carpet Cleaning Service every year. I have a pet that sometimes throws up on the carpet. But Moore's removes all traces and my carpet looks like new when they leave. I wouldn't use anyone else!!!! !